Massage Therapy Calgary for 20 years. We know that mobile massage therapy, acupuncture, in-home reflexology and the other wellness services that we offer, have more benefits than just making you feel good for an hour. They can make a real impact on every aspect of your life. Work, home, family, play are all better after Massage Therapy, we guarantee it. Pain, stress, and discomfort can be a distraction in every area of life. It can make you snappy with your kids or the ones you love, keep you from focusing fully at work, and nagging injuries can keep you from doing things you love, psychical activities that further enhance your health and wellbeing. And stress can keep you from sleeping making the whole problem even worse. 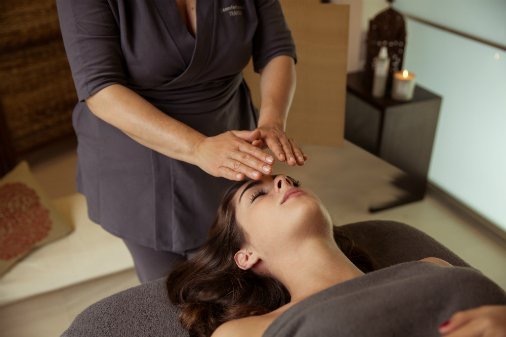 Taking time out to take care of yourself is so much more than a pampering experience. It is a way to reset, recharge and be better. We offer deep-tissue massage, hot stone massage, couples massage, and other services all in the comfort of your home. Countless studies in recent years have shown that rest is just as important as giving it your all. Newton used to keep a notebook at his bedside so that he could write down solutions to problems that came to him in his sleep. Massage Therapy Calgary, is even better for this. By completely relaxing and letting go of all thoughts, and getting the knots worked out in your muscles, something happens in your brain, making you think clearer and have more focus. 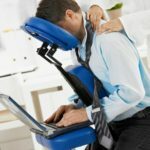 Often, clients have told us, that very, very difficult work problems became much clearer and solutions much more apparent when they took a step back from that problem, even in the middle of a workday, to get a massage. Even with the time away from their desks, the productivity more than made up for it. Massage therapy for the whole family- couples massage, children's massage? Yes! Taking care of a family is much more complex and way busier than it used to be. Especially if you have kids in sports, and even more complicated if your kids have growing pains, injuries or worse. We know that! We have been there, so when we come to you we work around everyone's schedule. So that your kids can compete at the highest level they want, without injuries and pain holding them back. And you don't have to find time to take them to yet another appointment. Your kids can have massage therapy while you make supper, and then you can get your massage while they do their homework. Or lots of our families will get their children massages just before bedtime as an extra treat, and then have a wonderful couples massage to finish off their day. What an amazing way to take care of yourself. Direct Billing all major insurance companies. Yes, we will direct bill all major insurance companies, we will take your information at the time of the booking and we can let you know if your insurance company pays for all or some of your massage therapy, or acupuncture treatment. 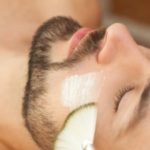 It is important to us that we take care of you completely, that includes using the best possible skin care products, and whenever possible we use organic skin care. But all our products are naturally derived. From our Facials to Massage Oil, the Essential Oils we use in our blends. Everything is chosen with care. Massage therapy Calgary is intended to take care of you on every level.